Based on the checklist within the ATEX 153, the Explosion Hazard Document can be drawn up for your company. In this EHD the organizational and technical measures are described, but the EHD can also serve as a framework to refer to other ATEX related matters within your company. On the basis of the identified release sources and existing products, the zoning of your location is determined in consultation with your Process Engineer and Operational Department. This takes into account gas or dust classification and possibly hybrid mixtures. Installations and explosion-proof E & I equipment must be periodically inspected in accordance with standard NEN-EN-IEC 60079-17. In addition to the periodic inspections, there is the possibility to inspect on the basis of continuous supervision in combination with maintenance and sampling. For non-electrical equipment regulations are not that explicit . We would like to discuss with you our vision on inspection, the starting point is not to make any concessions regarding safety. On the other hand, inspecting your installation must be pragmatically adjusted, especially if this installation is already a bit older. To train your employees, we have a wide range of training courses. 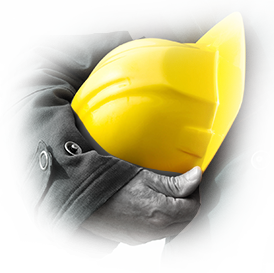 Whether it is an awareness training for operators or a specialized training for technicians. In order to offer these trainings at a high quality level, we work together with renowned trainers. If your company carries out repairs or overhauls on explosion-proof equipment, it is expected that you can demonstrate that your company and your employees have sufficient knowledge and skills. Your company distinguishes itself when you opt for an IEC Ex03 certification. We can guide your company to the final audit carried out by DEKRA. After the audit has been successfully completed, your company will be included in the register of the IEC organization.